NP40 power quality analyzer is the professional portable device to measure and analyze the power system quality, supply the harmonics analysis and power quality data analysis, also provide big memory for the data storage, which is used to make the long term logger measuring to power system. The PC software can simply upload the data to PC for full analysis. Measurement in 1-phase and 3-phase systems (3 - and 4-wire). 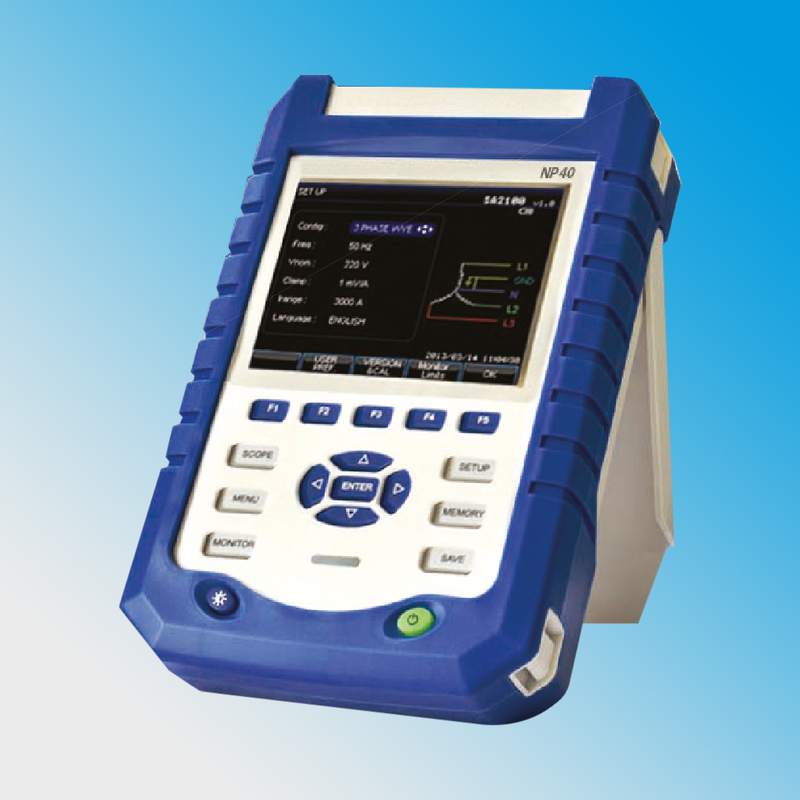 Measurement of voltage, current, harmonics, power, energy, inrush current, fl icker and other.